Championship side QPR have appointed former England boss Steve McClaren as their new manager. The 57-year-old has not been in a managerial role since his second spell in charge of Derby County came to an end in March 2017. McClaren, who was England boss between August 2006 and November 2007, has agreed a two-year deal with the R's. He has succeeded Ian Holloway, who left Loftus Road after guiding the west London club to 16th last season. McClaren had a spell at QPR as a coach in 2013 when Harry Redknapp was in charge, but left for his first spell at Derby in September of that year. "It's great to be back - and it's a challenge that I'm excited by," said McClaren. "I must admit that I've followed the club closely over the last five years, because of the three months I had here. I've seen the progress, work and changes that have gone on. "I like to play attractive, attacking football. The priority is to win matches - but we want to win them in a certain style." QPR will make a further announcement about McClaren's backroom staff in due course. 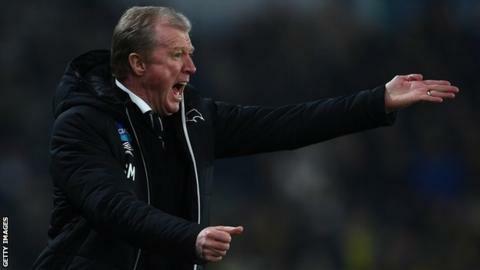 Yorkshire-born McClaren returns to management following a short spell as a coaching consultant at Israeli side Maccabi Tel Aviv, which he left last December. He has also managed Middlesbrough, Nottingham Forest and Newcastle in England, and has taken charge of Dutch side FC Twente and German club Wolfsburg. His high points have been the Eredivisie title he won with Twente in 2009-10 and the League Cup triumph in 2003-04 with Boro, who he then led to the Uefa Cup final in 2005-06. He became the first Englishman to manage in Germany's Bundesliga in 2010, but he was sacked by Wolfsburg in February 2011 with the club one point above the relegation zone. Meanwhile, his spell in charge of England only lasted 18 games and he left his role with the national team after failing to qualify for Euro 2008 following a 3-2 defeat by Croatia at Wembley. QPR director of football Les Ferdinand said McClaren had a "fantastic reputation" for coaching and developing players. "When you look at the average age of our squad, and the exciting young talent starting to emerge, he is the perfect fit for us," the former R's and England striker added. "We want Steve to use his expertise and experience to help our players grow."